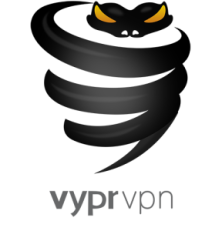 VyprVPN Personal VPN is a VPN service offered for members of Giganews, a Usenet newsgroups service offered by Golden Frog. Giganews comes with a number of different features, including a Usenet browser and search platform specifically developed for newsgroups, an online storage service called Dump Truck, and of course, the VPN itself. Obviously if you are not interested in Usenet and simply want a VPN service without any other features or tools, Giganews (the full package) is not the best choice. If however you are a Usenet user, and you are looking for a VPN which you can use along with other Usenet features, then it may make a lot of sense for you to consider VyprVPN and Giganews. The VPN service is free with the upper tiers of Giganews membership, and available at two different price tiers if you do not want to purchase Giganews membership. And if you don’t want Giganews but still want VyprVPN? The great news is that it is available as a standalone at very reasonable prices. You are browsing on a public network or another network you do not trust, and you want to secure your transactions with top-notch encryption. You want to view blocked websites or content which would otherwise be inaccessible at your school, workplace, or in your region. You want excellent Usenet features. Microsoft Windows: Winowds XP, Windows Vista, Winodws 7, Winodws 8 and 8.1. Android: Android application is available for all devices running Android 4.2. and higher. Mac: all Mac OSX operating systems supported. iOS: iPad, iPhone, iPod Touch are supported. VyprVPN claims to be the “only VPN in the world with desktop and mobile apps for Windows, Mac, Android, and iOS.” This is nonsense. There are many VPN clients that support the same variety of operating systems and devices. 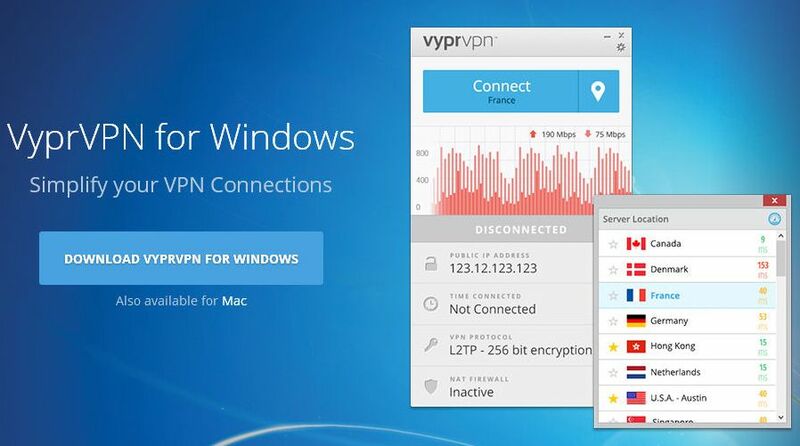 You can run VyprVPN on your Windows PC or Mac desktop computer, or you can use it on your mobile device. Apps are available for Android, iPhone, and iPad. Wii, xBox, PS, Smart TV, Apple TV,ChromeCast and WiFi routers are not supported. There is a 3-day free trial if you want to get VyprVPN as a standalone program, and there is a 14-day free trial available for any of the full Giganews accounts. Giganews account tiers include Pearl, Bronze, Silver, Diamond, and Platinum. 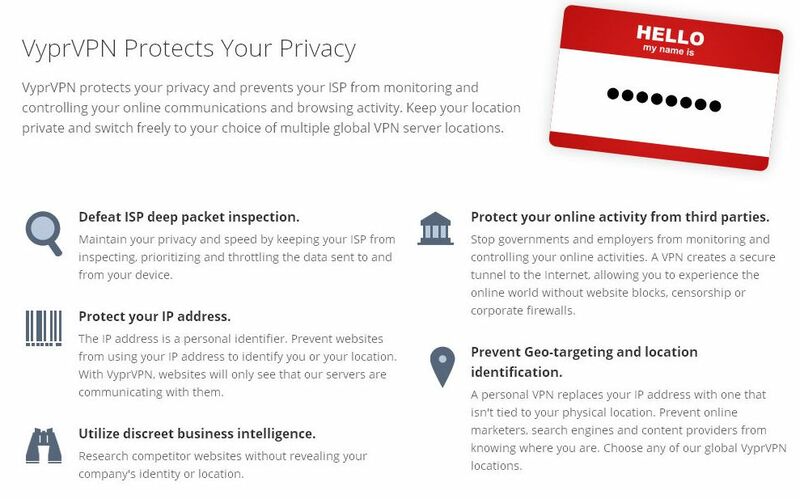 The top two accounts, Diamond and Platinum, include VyprVPN as part of their features. Account holders with Pearl, Bronze, and Silver accounts have to pay extra to try VyprVPN. So if you sign up for a free Giganews trial for Platinum or Diamond, you have 14 days to test VyprVPN along with Dump Truck, mimo, and the rest of the Giganews features. If you are not interested in the full Giganews service, then you only have access to a 3-day trial. VyprVPN Basic: $9.99. This is a personal VPN account which comes with one connection and uses PPTP. VyprVPN Pro: $14.99. This personal VPN account includes two connections and uses PPTP. Other features include L2TP/IP sec, OpenVPN, Chameleon, and NAT Firewall. Note that if you purchase the Platinum account ($19.99) for all Giganews services, you will receive VyprVPN Basic as part of the package at no additional cost. If you want to sign up for Giganews and receive VyprVPN Pro, you can sign up for the Diamond tier, which includes VyprVPN Pro instead. This service costs $29.99 per month, but is available for $14.99 per month for the first three months as part of a promotion (the same price that VyprVPN Pro would cost on its own). VyprVPN Basic: $9.99. If you pay annually, you are discounted to $6.67 per month. VyprVPN Pro: $14.99. If you pay annually, you are discounted to $8.33 per month. 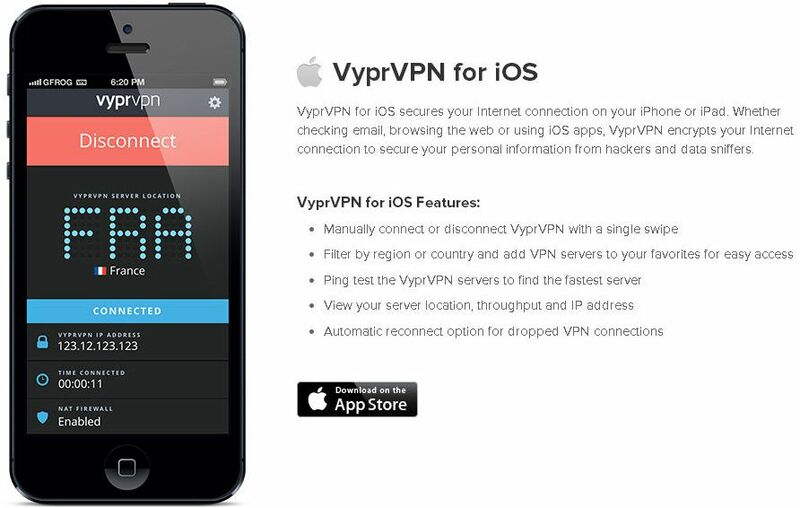 VyprVPN Premier: $19.99. If you pay annually, you are discounted to $10.00 per month. The refund policy on the site specifically states that there will be no refunds under any circumstances. Note that if you sign up for a free trial with Giganews, if you do not cancel by the conclusion of your trial, you will automatically be billed for the first month of service. On the Giganews site, Golden Frog states that their IP pool contains more than 200,000 IP addresses, which is quite a large pool. There are servers located in the United States in several different cities (Los Angeles, Austin, and Washington, D.C.). Additional servers are located throughout Europe (London, Frankfurt, Amsterdam, and Paris), as well as Asia (Hong Kong) and Canada (Toronto). Users are allowed to choose an IP address in a country of their preference, and switch as often as they would like. There are no bandwidth limitations for users of VyprVPN. Your speed and usage are unlimited. There are no download caps. The software is extremely easy to use on any platform, and lets you quickly and simply select a server location as well as a protocol (OpenVPN or PPTP). The protocol selection dropdown box reminds you of the encryption standards associated with each. You can choose to display a system tray icon which gives you a handy indicator of your connection status at all times. You can set up the service on your Android to connect automatically under certain circumstances (for example, when you are on a public network or unknown network). Users consistently reported that this VPN program ran great and that there were very few dropped connections. This may be a great benefit over a cheaper service. Many cheap and especially free VPN services feature regular drops, and require users to log in again and change passwords periodically. If you are a frequent VPN user, it is convenient to have a reliable connection with as few interruptions as possible while browsing, streaming, and downloading content online. Speed test data on VyprVPN is pretty impressive, displaying download speeds of up to 18 mbps and upload speeds of around 0.93 mbps. Reviewers pretty consistently stated that they were happy with the VyprVPN speeds. This is great, because this is not always the case with VPN services, but then again, you get what you pay for. This service is going to give you much more speed than your typical free or lower cost VPN service. If you use PPTP, you will receive 128-bit encryption. If you use OpenVPN, you will get 160-bit encryption. OpenVPN is therefore slightly slower, but also more secure. The fact that information this specific is available is also great. 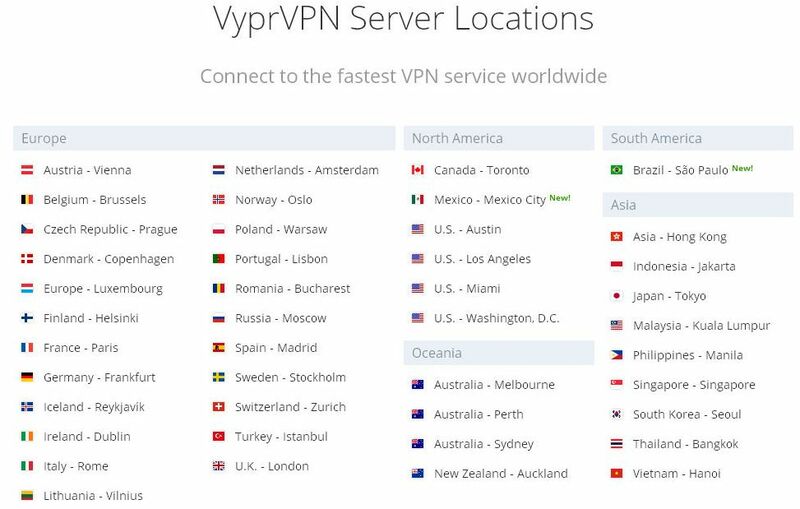 One of the reasons that VyprVPN is so fast and reliable is because they do not use third parties to host their VPN servers. They write all of their own software code and manage their networks internally. They own all of their hardware. A lot of other VPN services use third-party servers, equipment, and software, which slows down their connections and adds security loopholes. Golden Frog offers customer service 24/7 via email or live chat. When you open the live chat window and type in your info and question, the chat window actually tells you which number you are in line and gives you an estimated wait time, which is very nice. A lot of live chat features on websites do not do this. Even more exciting, someone actually answers the chat line—a real human being, who types quickly and responds efficiently. Their customer service team is clearly knowledgeable and happy to assist, even if you are not already a customer. Some VPN teams won’t even talk to you until you have signed up for service. We read some reviews stating that the customer service line is un-staffed or useless, but we see no evidence that this is the case. More likely, those reviews were penned by competitors posing as customers who are trying to discredit the company. This was the best customer service we have seen to date for a VPN service. Based on this experience, we would be much more comfortable signing up than we would be with many other VPN services. If you are actually looking for a Usenet service with a lot of different features including a quality VPN, Giganews looks like a pretty great option. They will provide you with a fast, reliable VPN as well as online storage and a great browser for one low price. Different tiers at different price points give you a number of options and allow you to spend according to your budget. And if you are not looking for a Usenet service and simply want to use a VPN? Golden Frog is very flexible and allows you to download the VPN program all by itself without the other Usenet services. VyprVPN has a strong reputation and a lot of top-notch features for a reasonable monthly price, and is well worth thinking about. A 3-day trial may not be a lot of time to decide, but it should be enough.